Contemporary, Modern Rustic custom Dining Chairs and custom Benches handmade in montana and shipped worldwide. 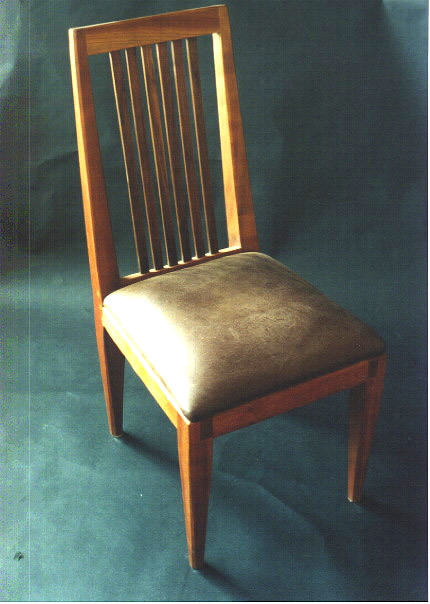 Cherry custom dining chair with leather seat and walnut back slats. Size 36″ H Back 16 1/2″ X 16 1/2″ Seat.